They say success breeds success, and it must be true. Your success as a graduate of the University of Rochester helps us spread the word to prospective students and parents. Each year, we receive more applications for the same number of spots, making the process of selecting a new class incredibly rewarding, but also much more challenging. We value your assistance at every stage of the process! We’re here to support you as you help us fulfill our annual amission to bring the best and brightest to the University of Rochester. This page contains links to the information and materials you may need to assist you in fulfilling your role as an admissions volunteer. Would you like to create or increase awareness of the University of Rochester in your hometown? Work with us as we expand our outreach efforts to prospective students, parents, and high school guidance counselors across the country. One of the most beneficial and fun ways to do this is to represent Rochester at your local college fairs. When our Admissions staff cannot attend a fair event but recognize the importance of attending, we reach out to our volunteer alumni for assistance. You don’t have to know everything about the University in order to staff a fair. All that’s required of you is a few hours of your time, and your enthusiasm for Rochester—we’ll provide the rest. College fairs are typically a first point of contact, so questions are usually general and the handout materials we will provide are in high demand and address most questions. Generally, college fairs take place from September–November, and March–May. Sign up with UR Involved and look in your email inbox for fairs in your area. “I have had several great experiences staffing college fairs and talking with prospective students about Rochester. Talking to parents about the University and helping students wade through the myriad information available is a very rewarding experience. Being a ‘salesperson’ in nature and having had a truly wonderful experience at Rochester makes it easy to ‘sell’ the University to prospective students and parents. There is a completely different perspective staffing a fair when you are a Rochester alumn. The students really want to know what it’s like to attend Rochester, and who better than an alum to fill them in? I think the parents also get a much better feeling about the University by talking to alumni versus talking with someone who works for the University. “I was a bit nervous at first, not knowing what kinds of questions would come my way. But my nerves were quickly calmed by talking about our alma mater and the wonderful and innovative programs Rochester provides. The ‘cheat sheet’ the Office of Admissions provided was also a big help! By the end of the evening, after repeating the same statistics over and over, I was a pro! The Office of Admissions provides all the tools necessary to have a successful, rewarding experience staffing a college fair. Why does the Office of Admissions sometimes request volunteers for college fair staffing, but other times not? When the Office of Admissions receives an invitation to attend an important college fair but is unable to attend, we reach out to alumni volunteers to attend on behalf of the University. Who do I contact if I need more information about volunteering to staff a college fair? Please contact the program manager and college fair coordinator, Suzanne Dianetti, with any questions. What happens after I say yes to volunteer for a fair? After you notify the program manager, suzanne.dianetti@rochester.edu, with your interest, you will receive a reply email and the program manager will RSVP for the event and pay any applicable attendance fee. Please include your full mailing address so the shipping of materials can be arranged at that time. An RSVP from the University signals a commitment to attend that event. Every possible effort should be made to meet that commitment. Will I be reimbursed for travel to volunteer for a fair? It is not our policy to reimburse costs of travel to volunteer college fairs. What do I bring to the college fair? Roughly two weeks prior to the fair date, a box of materials will be shipped through FedEx two-day shipping to arrive at the address you’ve provided. Please open the box and familiarize yourself with the contents. Bring the box to the fair and set up the table provided in the way of your choosing. We estimate the number of attendees and do our best to provide the quantity of materials necessary. Many of the fairs provide water and snacks to participants. You will be attending an event as a representative of the University of Rochester and should dress in a way that reflects that role. If the invitation suggests otherwise, you may follow that suggestion, but please dress neatly. Are there things I should know before the fair? How will I answer questions when I meet interested students and their families? You are not expected to know answers to all the questions students and their families may have at a college fair. The materials will guide you, which is why it’s important to open the box and familiarize yourself with the contents when they arrive. We strongly suggest that you visit the Admissions website to learn about what our current focus is, to view the on-and off-campus videos we’ve produced, and to take the virtual tour. Encourage students to visit our website and to complete a prospect card, which will trigger additional mailings to the student. Who should I direct students to if they have specific questions I cannot answer? For very interested students/parents, and with specific questions, Office of Admissions business cards are included in the box of materials. Our contact information is also located on each of the materials sent to you. If they have academic department-specific questions, advise those students to contact the academic department directly via the department page on the website. What are my responsibilities at the conclusion of the fair? A pre-paid/addressed FedEx label will be included in the box of materials. We ask that you place any remaining materials, including completed prospect cards and the table banner into the box and drop it at a FedEx facility of your choosing. What is the fact sheet and how do I find it? The fact sheet is a quick summary of admissions information including cost of tuition, diversity of class, academic statistics, etc. The fact sheet is a very popular item and will be provided in your box of materials. Additionally, our fact sheet can be viewed on the Admissions website. How do I change my contact information? How do I sign up as a UR Involved volunteer? Is there another way can volunteer if my schedule prohibits me from volunteering for college fairs? Update your current UR Involved contact information and/or sign up to be a UR Involved volunteer. If volunteering to staff college fairs won’t work for you, consider volunteering as an interviewer. The Interviewer Application Form has additional details about how it works. If you have additional questions about being an interview volunteer, you may contact Beth Luke at beth.luke@rochester.edu. Thank you for your support for the University of Rochester and the Office of Admissions! We consider the admissions interview to be a crucial part of the application process. These one-on-one conversations allow us to get to know our applicants in more depth than the application can provide, and help us gauge the applicant’s fit for the University of Rochester. We could not do this without the help of our alumni across the country, which is why your role as an alumni interviewer is so important to us and to the University. Here you will find information and materials to assist you in your role as an admissions volunteer. If you can’t find what you are looking for, please email Beth Luke at beth.luke@rochester.edu or Suzanne Dianetti at suzanne.dianetti@rochester.edu in the Office of Admissions. If you don’t know the answers to the questions you are asked, simply refer the student to his or her admissions counselor or financial aid counselor. Thank you for all you do for the University of Rochester! Is this student prepared for success in higher education? Are they a good relative fit for the University of Rochester? It’s our opportunity to learn their stories, or add a personality to a paper application. What we want to know is what makes them unique, and if they are a good fit for Rochester and vice versa. Your goal is to have a relaxed conversation from which you may uncover some additional insight about the student not included or discussed at length in their application materials. It’s not just what they do, it’s why they do it. The application tells us how many AP classes the student is taking. We see the extensive extracurricular list. Rather than asking for a list of classes or activities they participate in, try to find out why. What are the student’s motivations? Passions? Goals? These are things that are harder to determine from the application alone, so you can use the interview as a chance to dig a little deeper and find out what drives them. Starting with the 2018–2019 recruitment cycle, our alumni interviews will include a specific question to be asked of all interviewees that gets to the heart of Rochester’s new Vision and Values. The answer to this question is meant to provide a window into how the interviewee sees themselves as part of a larger community and how their commitment to the betterment of others contributes to that community. How have you tried to make your family, school, or world better for others? An extraordinary family-level commitment to betterment might present itself as a student that works 20 hours a week in addition to school to support the family income, or takes care of a younger sibling or sick family member consistently, in a sustained way, after school. Students that do essential, every day, challenging tasks for the benefit of those close to them—often without external acknowledgement or reward—should be considered. An extraordinary school-level commitment to betterment might present itself in many ways, including the student typically recognized by schools and admission offices for extraordinary school service (high quality, sustained school service or volunteer work), as well a student that informally and regularly helps others in everyday, quiet ways such as tutoring or coaching peers in school work, art, or sports. Both formal and informal relationships and programs should be considered (student may not necessarily be an assigned “tutor” or designated “leader”—what is most important is the consistent, sustained high-quality contribution to others). An extraordinary community-level commitment to betterment might present itself as work on a community problem or as a sustained, high-quality volunteer work (such as at a hospital or homeless shelter), or work on something of importance to the student that positively benefits or improves others (work on a political campaign, etc.). It should also include students that do work for the betterment of others in small, every day, often unrecognized ways (a student that takes care of other youth in the community that don’t have a place to go after school, a student that picks up neighborhood trash regularly or consistently, etc.). How would you rate the student’s response in terms of Meliora in action? Poor – Student did not answer the question or does not suggest any evidence that he/she is committed to the betterment of others. Fair – Student’s answer was more general in nature and did not go much beyond an example of “community service” or the like. Very Good – Student’s answer contained concrete examples of commitment to the betterment of others and understanding of long term affects. Exceptional – Student demonstrates extraordinary or truly exceptional commitment and experience to Meliora or the betterment of others. Here in the Office of Admissions, we find it useful to ask personal, open-ended questions to get to know the student and to get an idea of how he or she might fit at Rochester. Remember, there are no required questions with the exception of the question referred to above that you must ask. There is no specific information (like test scores or GPA) that you must gather. Why are you interested in Rochester? Which high school class have you found to be the most challenging, and why? 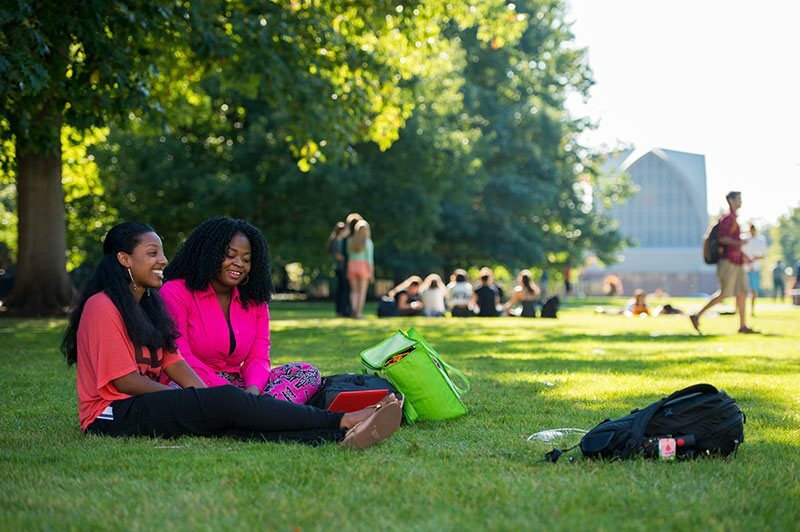 Outside of academics, what can you bring to the University of Rochester? What factors are most important to you in your college search? Our interviewers share what has worked for them. Feel free to give any of these suggestions a try, and see what works best for you! Questions to ask: Rather than asking a candidate to characterize him/herself, I prefer to ask how school friends view him/her. It allows the student to give a slightly more detached and less self-conscious answer. Interview site: I prefer Starbucks or other comfortable location near my home. Climate: I readily admit to interviewees that Rochester is colder and receives more snow than the Washington, DC area. But I also explain that unlike DC, snow is no big deal. There is a lot to do on and off campus in winter, and the River Campus tunnels make getting around a bit easier. City: Rochester is large enough to offer a diverse range of opportunities (concerts, museums, minor league sports, a great small zoo, beautiful parks, etc. ), but not so big that getting around is a hindrance like here in DC. Plus, Toronto is only about three hours away. Making contact: Email is way more effective as the medium for initial contact with this high school generation. It also makes the phone a workable follow-up as needed. Set-up: At least in my area, Starbucks is the best location. (It’s unanimous, and I’m not a a Starbucks fan, so I’m not plugging it). The local kids know it well, and it’s a good point of reference for kids coming from out of my town. Questions to ask: The best lead-off I have is: “How have you heard of us (Rochester)?” The best next one isn’t a question, but a ground rule I set early. I tell them that I am not trying to “sell” Rochester, but that our chat is about seeing what kind of match there is between you and the University. Then in general, I try to gauge their familiarity with the school, the Rochester area, and Upstate NY to anticipate their questions to me, which is the next topic. Climate: They get a laugh when I explain Rochester is not in the Arctic Circle and not all that dissimilar statistically from Boston. I see if they are winter persons or not. The tunnels are always a hit. Campus activities: I build upon what they have told me about themselves in terms of their activities and what they wish to try out in college. City of Rochester: Again, any familiarity is something I build upon. It’s increasingly likely now that there are family/friend connections to Rochester and even the area itself. I emphasize our mid-sized city status and metro area of more than a million people, saying it’s large enough to have a lot of activities without the congestion of the big city. In fact, for its size, Rochester has a lot to do and see. In general, I focus on a relaxed discussion to help both of us discern what “match” there is between the student and Rochester. Also, I always emphasize a campus visit. The consistent feedback I get from those who have visited is that it is highly impressive, still one of our best visual attributes to students and their families. Pick a Sunday afternoon and set up in a coffee shop you like so you can schedule multiple interviews in one day. This saves you time and gives you the chance to interview a lot of students. I always start the interview by telling the students a bit about myself. This gives them some time to get comfortable before they need to talk. My first question is usually, “How did Rochester come onto your radar?” You can easily gauge a student’s interest and prior knowledge with this question. From there, I always ask them to tell me about their high school. I find this helps me understand their view on education and easily leads into asking what they are excited about for college. I always send the student a quick follow-up email explaining that they are free to ask any other questions that come up. This opens the door for students who are admitted to have another point of communication about deciding. The main thing I keep in mind when interviewing a potential student is that they’re interviewing me as well. It’s this reasoning that allows for some really good conversations. While I try to stay consistent on my focus points so I have a good frame of reference when submitting evaluations, every interview is unique. Personally, I much prefer meeting in person, and I try to find places that are common and comfortable—Starbucks or other coffee shops tend to work well for this. I’ve also conducted a lot of interviews over the phone and done a few on Skype. I try to email the student as soon as the request comes through and then go back and forth to find time and location (or phone number). I start the conversation with something I think helps the students feel a little more at ease. I tell them that this isn’t an “interview,” in the traditional sense of the word, that there are no set questions, and it’s just a conversation where they can ask me anything. I tell them that I understand there are lots of factors that go in to choosing the right college and that I’m here to help them get a little more information to guide that. I’m partial to Rochester since I went there, but I’m not going to criticize any other schools they’re considering and I try to be as non-biased as possible if they want a comparison (assuming I can provide it). After I’ve gone through this, I ask if they have any questions they’d like to start with—it helps them feel more comfortable and sets the tone if they want to ask questions. After this, I almost always lead with the “How did you find out about Rochester in the first place?” question since my interviews have been in Chicago, Denver, and Kansas City. I’ve found that many of the people I interview come across the school from specific searches including music (Eastman School), fast track medical admission (REMS), or a professor or subject area for which we’re notable. I ask what they’re looking for in a college experience. This leads to good discussion about what Rochester provides, how this may compare to other schools, and what my experience was like. I always directly ask if they’ve visited or are planning to as it’s one of the main points that sold me on enrolling. A lot of the students I speak to can’t or don’t get the chance to visit campus, so it’s always a little bit trickier for me to help them get a real feel for what it’s like there. Because my interviewees are 1000+ miles from Rochester, I take some time to figure out if they’re truly ready to be that far from home. Most are, because they probably wouldn’t otherwise be looking at Rochester, but I still ask. This also leads into discussion about the city and what it’s like to live there (yes, it snows). When discussing academics, I make sure they understand how it works with clusters. When discussing campus activities, I encourage them to reach out to group organizers to get a true feel for what’s actually going on. When discussing financial situations, I tell them to talk to admissions/financial aid. When we’re wrapping things up, I make sure to tell them I’m available beyond this interview if they have more questions. I also let them know if they’re having trouble getting information about something to let me know and I can try to help. Yes, it’s an interview in the sense that I’m writing up an evaluation when it’s over (seriously, do this ASAP after you’ve completed the interview), but I view the whole process as being a resource for this student as they try to figure out what works best for them. I know not every kid is going to come to Rochester and I know not every kid is right for Rochester. But it’s not my call to make and I want to provide both the school and the student with the best information possible to make that decision. Your Username is, if not already populated, the email we have on record for you. To create a password, click on “Forgot Your Password” and follow the prompts as though you have forgotten your password. A temporary PIN will be sent to your email address. That PIN will act as a temporary password. Enter the PIN as your password. You will be prompted to create a new password. (For security reasons, please do not share your password with anyone, and please do not reference it in any email.) At that point you should be logged into the system and should see your “Alumni Interviewer Dashboard” (Dashboard). At the top of the Dashboard you will have access to a link that will direct you to a page with more information about the program, and training materials. These instructions will soon be available in both written and audio/visual formats. The Dashboard represents a summary of your interviewing activity; it will be blank at first sign-in but will populate once requests start coming your way. Your first action is to click on “Your Alumni Interviewer Profile” on the right side of the page, and complete your profile. You’ll only have to do this once unless you need to change your availability for different types of interviewing (In Person, Virtual, Phone) or to change your status from active to inactive, or visa-versa. If you’re ready to start receiving requests, please deselect your inactivate option at this time, and select which type of interviewing method you will be available to conduct. By moving the scroll bar to the right you’ll see city/state/zip code, and school of the student. Select a row to begin (or continue) the interviewing process with that particular student. The Alumni Interviewer Profile you’ve set up (again providing the opportunity to change your availability for the type of interview and active/inactive status. This is available to you at any time). Scrolling up, you’ll see a summary of information provided by the student you’ve selected (pre-populated). Continue scrolling up, you’ll see a text box where you should send a general note of introduction to the student. They won’t know who you are until they receive a message. Please DO send a brief introductory message to the student. Any messages you do send to the student, or the student sends to you, can be viewed on the lower left side of the Dashboard in the Messages section. Messages will be dated and time-stamped, and will help in the tracking process. You may need to refresh the page for the message to appear. Option 2: Contacted. If you reach out to contact the student you should select this option. The “Contacted” status will remain the status on the Dashboard for this student as you send messages in the attempt to set up the interview specifics. You will eventually move to Option 3. Option 3: Confirmed. This option should be selected once you’ve confirmed the date/location/time of the interview with the student, and you are both in agreement. Selecting “Confirmed” will open a calendar for ease in selecting the agreed upon date. Select the date, enter the location with as much detail as possible, enter the time of the interview, selecting AM or PM, and the time zone. Once you’re all set – Submit. The student will receive the details in an email, and you will see the same details on the upper right corner of your Dashboard. Refreshing the page, and refreshing messages along the way will be necessary to keep them up to date for your immediate viewing during your open sessions in the system. Once your interview is “Completed”, your interaction with the student is complete. THANK YOU! If a student is a “No-Show”, change the system Interview Status to “Decline” and in the note field enter “No-Show”. The student will then be prompted to request another interview. Refreshing the page often may be necessary. Throughout the interviewing process auto-programmed email messages and notifications to you and the student will be sent using the email you and they have provided in your profile and in their record. Your personal email address is hidden from the student. Notifications will go out with each change of your “Interview Status and Confirmation” option, so it’s important that you monitor that email account throughout the process and/or check the messages in the Messages field on your Dashboard. Although the student’s personal email is provided with their information, please do not copy/paste that email address and message from there –it’s important that all conversation stays within the system. As the system loads your submissions, it may say “Loading” and there may be little blue bubbles that appear on the screen – please be patient with that process. If, after a few minutes, you feel it’s “stuck” loading, please let us know and we’ll work around it with you. Thank you for your willingness to volunteer and to help us to learn more about students interested in the University of Rochester. View a video tutorial of instructions. As an alumni interviewer, you may be asked questions about the admissions process. Here is some useful admissions information regarding applying, test scores, and deadlines. For more information about the application process and answers to commonly asked questions, please see our Arts, Sciences & Engineering 2017–2018 Fact Sheet and our Common Questions page. For updates and news about what’s happening at the University of Rochester, check out our Newscenter. People do their best when doing what they love. At Rochester, students build their own curriculum with their own unique strengths and interests. There are no required subjects. Students here study only what they’re passionate about, choosing a major in one of the three divisions of learning and taking thematic three-course clusters in other areas. Most Rochester students find they have room to double- and even triple-major. A cluster is a set of related courses that fall within one of the three academic divisions: Humanities, Social Sciences, and Natural Sciences & Engineering. Each cluster contains a minimum of 12 credits of coursework. Rochester students created many of these clusters. They’re just one more way students can customize their college education. *This program is seeking ABET accreditation. Meanwhile, graduates are not eligible to receive maximum professional education/experience credits toward NY State licensure. See the full list of majors & minors. A new ranking released by the National Taiwan University; offers annual performance rankings for world universities based on the production and impact of their scientific papers. The Office of Admissions has seen an increased demand for interviews overseas. To help us meet this need, we’re embarking on a new initiative to offer interviews with Rochester alumni internationally. As a University of Rochester graduate living outside of the United States, you can speak to international students’ questions about Rochester and about adjusting to life in another country. It is our hope that you will join us as a powerful resource in our effort to bring the best students to Rochester—from all corners of the globe. If you’re interested, please fill out the Alumni Interviewer Application, and an Admissions representative will contact you. Thank you in advance for your valuable support! Alumni interviewing season is roughly four months in duration, from October through early February. Throughout this timeframe, alumni receive requests directly from applicants and initiate follow-up with them to make arrangements for an in- person or Skype/telephone interview. Within 48 hours of completing an interview, the alumnus/a submits an evaluation which is used by admissions counselors as part of the application review process. * IMPORTANT * Because all applicants are encouraged to interview as part of the application process, thousands of interviews are conducted by alumni and staff each year, and this number continues to grow. We are seeking alumni who can take on the significant commitment that this role requires of representatives of the University in terms of time and responsiveness. When follow-through is not timely and professional, it reflects poorly on Admissions and the University, and negatively impacts the student and our relationship with their high school. If your professional or personal schedule would inhibit your responsiveness, alumni interviewing may not be the best alumni opportunity for you. Reaching out to (possibly multiple) prospective students who’ve requested an interview with you, to schedule a mutually convenient interview method, date, time, and location. Dedicating time to self-train by utilizing the available online volunteer resources or by scheduling a time to connect with an admissions counselor to complete a volunteer training session via webcam, Skype, WebEx, or chat session. Devoting a half or full weekend, or evenings as needed, throughout the season for interviewing events and/or several 30 minute time blocks for individual interviews. Monitoring one’s interview requests on a regular basis (we suggest daily) during the interviewing season (September-early February) and following up accordingly within 3 days of the request. Submitting an evaluation within 24 hours after completion of an interview, using the prompts on the interviewing evaluation form as a guide for the information most valuable for admissions staff.If a reasonable effort to meet these expectations is not maintained by an alumni interviewer, the Office of Admissions reserves the opportunity to remove the interviewer from active status temporarily or permanently. Prior to submitting the application form, please take a few moments to consider the questions below to help us, and you, determine if alumni interviewing is a good match for you. Why are you interested in being an alumni interviewer? Do you have enough time in your schedule to monitor your interviewer account and requests, conduct, and evaluate yourinterviews? For example, if you travel frequently or on short notice causing delays in responding to and schedulingstudents, alumni interviewing may not be the best opportunity for involvement at this time. Would you describe yourself as an “active listener”? What is your comfort level interacting with high school students? How would you describe your current level of knowledge about the college admissions process? Do you have relatives who may be applying to the University within the next 3 years? (Please note that we ask interviewers to take a year off from interviewing the season during which their relative is applying. )For questions, please contact Beth Luke, Director of Volunteer Programs, at beth.luke@rochester.edu. Whether you’re just starting to think about college or you’re narrowing your choices, we hope you will keep the University of Rochester in mind. As a potential legacy applicant, the Office of Admissions welcomes you (and your family) to visit campus, take a tour, attend an information session, and apply to the University of Rochester when the time comes. If Rochester is right for you and if you are a good fit for Rochester, we hope you will carry on a family tradition while creating your own legacy here. Because Rochester values such legacies and traditions, the Office wants to keep in touch and serve as a resource for you as the college admissions process begins. Note: Membership in the Colony Club does not imply nor guarantee admission to the University of Rochester. To maximize your benefits, the best time to enroll is during the summer of your junior year. If you’d like to begin building your relationship with Rochester, please provide us with some information below.